In Koh Kow Tee Michael v Lee Ewe Ming Edward  SGHC 60, Woo Bih Li J took the opportunity to clarify the test that the court would use when deciding whether to grant a stay of proceedings pursuant to the court’s inherent jurisdiction in a situation where an arbitration agreement only covered some but not all the parties in the dispute. On 6 December 2013, three Lamborghini cars were involved in a chain collision in West Malaysia. The Plaintiff was the owner of one of the cars, although the driver at that time was his son-in-law. The defendants were the owners of the remaining two cars. Unusually, the Plaintiff commenced the suit in his personal capacity and not through his insurance company which is the norm in the automotive industry. The Defendants sought the assistance of their insurance companies, Liberty Insurance Pte Ltd (“Liberty”) and AIG Asia Pacific Insurance Pte Ltd (“AIG”), and the insurance companies took over the defence. On 1 October 2014, AIG took out a summons, applying for a stay of proceedings pursuant to the Court’s inherent jurisdiction under O 92 r 4 of the Rules of Court. AIG’s basis for this application was that there was an underlying agreement (“the Market Agreement”) between Liberty and AIG that spelt out which insurer was liable for the accident. Since there was a dispute between the insurers about the applicability of the Market Agreement, this dispute would have to be referred to the GIA Panel of Adjudicators, which thereby necessitated a stay of proceedings. The Assistant Registrar denied the application, and AIG appealed. The High Court had to decide whether a stay of proceedings should be granted. The primary case that AIG relied on was Tjong Very Sumito v Antig Investments Pte Ltd  4 SLR(R) 732, where the Court of Appeal held (at ) that a stay of proceedings should be granted if it was at least arguable that a dispute is the subject of an arbitration agreement. However, Woo J rejected AIG’s reliance on Tjong Very Sumito because in that case, the arbitration agreement was alleged to bind all the parties to the dispute, thereby triggering the court’s power to grant a stay as encapsulated in section 6 of the Arbitration Act (Cap 10, Rev Ed 2002) whereas in the present case, the Plaintiff was not and could not even be argued as being bound by the Market Agreement. (a) The court’s inherent jurisdiction to stay court proceedings, when the Arbitration Act does not apply, is very rarely exercised – Four Pillars Enterprises Co Ltd v Beiersdorf Aktiengesellschaft  1 SLR(R) 382. (b) A stay of proceedings under the court’s inherent jurisdiction is only granted in rare and compelling circumstances – Reichhold Norway ASA and another v Goldman Sachs International (2002) 2 AU ER 679. 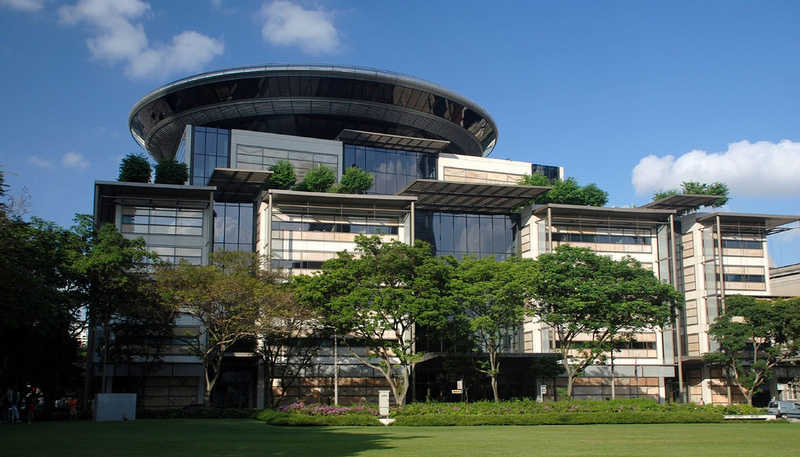 (c) In the absence of a binding arbitration agreement between all the parties, a stay of proceedings will be granted only in rare and exceptional circumstances – Shanghai Construction (Group) General Co Singapore Branch v Tan Poh Seng  SGHCR 10. After assessing the propositions in these decisions, Woo J agreed (at ) that a stay would “rarely be granted and only if the interest of justice warranted such an order”. On the facts, Woo J held (at ) that the question was “whether a decision by the GIA adjudicators in favour of AIG would resolve the Plaintiff’s entire claim”. Woo J’s ultimate conclusion was that there would be no such resolution through the GIA adjudicators’ future decision. He relied on two facts. First, even though AIG and Liberty were parties to the Market Agreement and its associated dispute resolution mechanism, the Plaintiff was not bound by the Market Agreement and could not derive any benefit from it. Therefore, the Plaintiff would not have been able to rely on or enforce the Market Agreement in whatever way the GIA adjudicators interpreted it. Secondly, Liberty had made clear that it would be arguing that the Plaintiff shared some contributory responsibility for the crash and the losses. This issue could not have been decided before the GIA adjudicators since they did not have such a broad mandate. Accordingly, the Plaintiff’s claim could not have been disposed of through the GIA’s adjudication of the applicability of the Market Agreement. Since the GIA adjudication could not have disposed of the entirety of the Plaintiff’s claim, it would not be appropriate for the court to exercise its inherent jurisdiction and grant a stay. As a preliminary issue, it must be noted that this case was different from the usual string of stay of proceedings cases, where there is an arbitration agreement that binds all parties. In those circumstances, s 6 of the Arbitration Act provides that the court shall stay the proceedings in favour of the arbitration agreement to which all parties have signed. This is a sensible position since all the claims between the parties could be resolved through the arbitration mechanism that they have willingly agreed to. However, in cases where s 6 does not apply, recourse may be had to the court’s inherent powers under O 92 r 4 of the Rules of Court. Such cases include a unique situation as seen in this case, where ordering a stay of proceedings without ensuring the disposal of that party’s claim would be akin to denying or delaying justice to that party. This is because the party not bound by the arbitration agreement would not have any rights under the arbitration agreement and would not be able to join such arbitration. On the other hand, the parties bound by the arbitration mechanism could easily have recourse to litigation to resolve their claims alongside the party not bound by the arbitration agreement. The next question is one of ascertaining the threshold at which the court should exercise its discretion in such a unique situation, since there cannot be an absolute bar on the court’s power to order a stay where necessary or just. Woo J set a very high standard, propounding that a stay should only be granted if the party that is not bound to the arbitration mechanism would also be able to have its own claims resolved via the decision of the arbitration mechanism. This would allow the party not bound by the agreement to have its claims resolved without unnecesary delay. This is a fair and practically sensible solution as it ensures that the non-party’s claims are not frustrated or delayed. An argument that was raised by AIG was that costs would be wasted if the GIA adjudication continued at the same time as the litigation over the Plaintiff’s claims. Such an argument is misconceived since the effect of the GIA adjudication would have no bearing on the question of liability as between the Plaintiff and the Defendants. All that would come out of the GIA adjudication was whether Liberty would have to reimburse AIG for its portion of the damages. Additionally, any legal costs ordered against AIG could be reclaimed by AIG from Liberty, should it ultimately succeed against Liberty before the GIA. This decision has clarified the test that should be applied with respect to the court’s inherent jurisdiction to grant a stay of proceedings. Addressing this unique situation, Woo J made it abundantly clear that the interests of justice should take precedence where a party’s access to justice is concerned.